An unforgettable experience in luxurious surrounds awaits your pleasure. A perfect 'special occasion' treat. Kentisbury Country House is your unique, rejuvenating escape. Exclusively Yours - Offering the whole house to one couple, families or a group of up to eight friends. 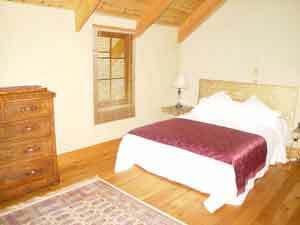 Stylish, comfortable and serene accommodation beautifully situated in the heart of Cradle Country. 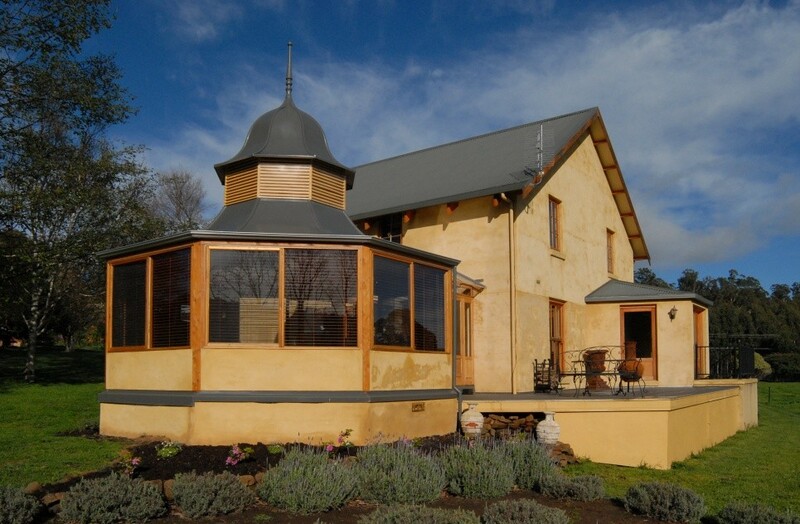 Kentisbury Country House- sitting tranquilly amidst the Tasmanian countryside with views to Lake Barrington. Ideally situated to explore the inspiring Cradle Mountain & Lake St. Clair National Park. Sheffield 'Town of Murals' with a thriving artistic community, is a pleasant 10 minute drive away with views of the awesome Mount Roland around every corner. 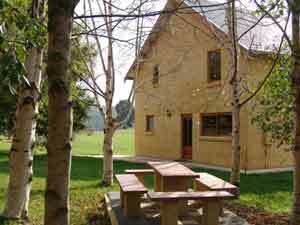 Close to Lake Barrington, for a spot of trout fishing or watching the events at the International Rowing Course. Cradle Mountain is a scenic 40 minute drive with Mount Roland dominating the landscape at every turn, a photographers delight! The house, furnished with selected antiques, is ideal for couples, family holidays or groups of up to eight friends with 3 bedrooms, 2 queen, 1 double and a double sofa bed. The bathroom upstairs has a claw foot bath and separate shower whilst the bathroom downstairs incorporates the laundry. One comfortable living area opens into a sunroom and the other living area, a gorgeous rotunda room, leads to the deck. The fully equipped kitchen and dining room is ideal for long lunches and dinners. Devonport Airport/Ferry is 30 minutes drive & Launceston Airport is a 1 hour 20 minute drive. The luxurious house, tastefully decorated in the European style, is available for romantic getaways for one couple, family holidays or for a group of up to eight friends. Kentisbury Country House is exclusively yours and features three large queen bedrooms and a double sofabed. The upstairs bathroom has a claw foot bath and separate shower. A second bathroom and laundry is situated on the ground floor along with a fully equipped kitchen and dining room. The living room opens into the sunroom, the second living area is a beautiful rotunda room which leads to the deck. 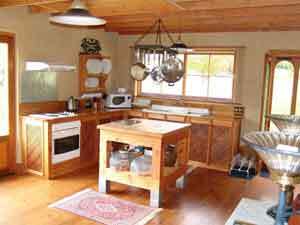 The house sits tranquilly on five acres of lush farmland with peaceful views from every window and towards Lake Barrington. Our guests are welcome to relax in the garden, under the rose arbour or birch grove. Our seasonal organic fruit and vegetable garden is alos available to our guests. The luxurious house, tastefully decorated in the European style, is available for romantic getaways for one couple, family holidays or for a group of up to eight friends. Kentisbury Country House is exclusively yours and features three large queen bedrooms and one double sofabed. The upstairs bathroom has a claw foot bath and a separate shower. A second bathroom and laundry is situated on the ground floor along with a fully equipped kitchen and dining room. 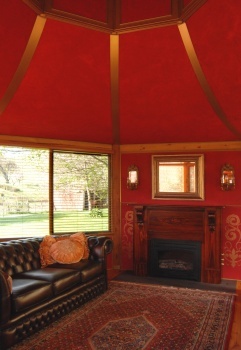 The living room opens into the sunroom and the second living area is a beautiful rotunda room which leads to the deck. The house sits tranquilly on five acres of lush farmland with peaceful views from every window and towards Lake Barrington. Our guests are welcome to relax in the garden, under the rose arbour or birch grove. Our seasonal organic fruit and vegetable garden is also available to our guests. The luxurious house, tastefully decorated in the European style, is available for romantic getaways for one couple, family holidays or a group of eight friends. Kentisbury Country House features three large queen bedrooms and a double sofabed. The upstairs bathroom has a claw foot bath and separate shower. A second bathroom and laundry is situated on the ground floor along with a fully equipped kitchen and dining room. The living room opens into the sunroom, the second living area is a beautiful rotunda room which leads to the deck. The house sits tranquilly on five acres of farmland, with peaceful views from every window and towards Lake Barrington. Our guests are welcome to relax in the garden, under the rose arbour or birch grove. Our seasonal organic fruit and vegetable garden is also available to our guests. The luxurious house, tastefully decorated in the European style, is available for romantic getaways for one couple, family holidays or for a group of up to eight friends. Kentisbury Country House features three large queen bedrooms and a double sofabed. The upstairs bathroom has a claw foot bath and separate shower. A second bathroom and laundry is situated on the ground floor along with a fully equipped kitchen and dining room. The living room opens into the sunroom, the second living area is a beautiful rotunda room which leads to the deck. The house sits tranquilly on five acres of farmland, with peaceful views from every window. Guests are welcome to relax in the tranquil garden, under the rose arbour or birch grove. Our seasonal, organic fruit and vegetable garden is also available to our guests. The luxurious house, tastefully decorated in the European style, is available for romantic getaways for one couple, family holidays or for a group of up to eight friends. Kentisbury Country House is exclusively yours and features three large queen bedrooms and a double sofabed. The upstairs bathroom has a clawfoot bath and separate shower. A second bathroom and laundry is situated on the ground floor along with a fully equipped kitchen and dining room. The living room opens into the sunroom, the second living area is a beautiful rotunda room which leads to the deck. 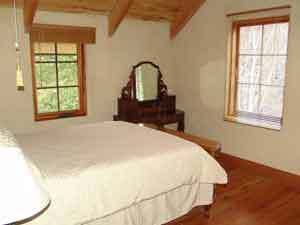 The house sits tranquilly on five acres of farmland with peaceful views from every window and towards Lake Barrington. Our guests are welcome to relax in the garden, under the rose arbour or birch grove. Our seasonal organic fruit and vegetable garden is available to our guests. 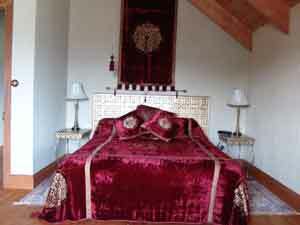 The luxurious house, tastefully decorated in the European style, is available for romantic getaways for a couple, family holidays or a group of up to eight friends. Kentisbury Country House is exclusively yours and features three large queen bedrooms and a double sofabed. The upstairs bathroom has a claw foot bath and separate shower. A second bathroom and laundry is situated on the ground floor along with a fully equipped kitchen and dining room. The living room opens into the sunroom, the second living area is a beautiful rotunda room which leads to the deck. 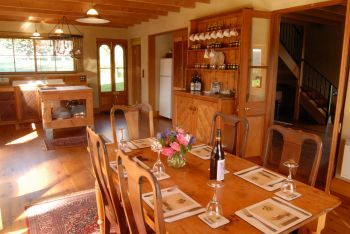 The house sits tranqilly on five acres of lush farmland with peaceful views from every window and towards Lake Barrington. Our guests are welcome to relax in the garden, under the rose arbour or birch grove. Our seasonal organic fruit and vegetable garden is also available to our guests. The luxurious house, tastefully decorated in the European style, is available for romantic getaways for one couple, family holidays or for a group of up to eight friends. Kentisbury Country House is exclusively yours and features three large queen bedrooms and a double sofabed. The upstairs bathroom has a claw foot bath and separate shower. A second bathroom and laundry is situated on the ground floor along with a fully equipped kitchen and dining room. The living room opens into the sunroom, the second living area is a beautiful rotunda room which leads to the deck. The house sits tranquilly on five acres of lush farmland with peaceful views from every window and towards Lake Barrington. Our guests are welcome to relax in the garden, under the rose arbour or birch grove. Our seasonal organic fruit and vegetable garden is also available to our guests.